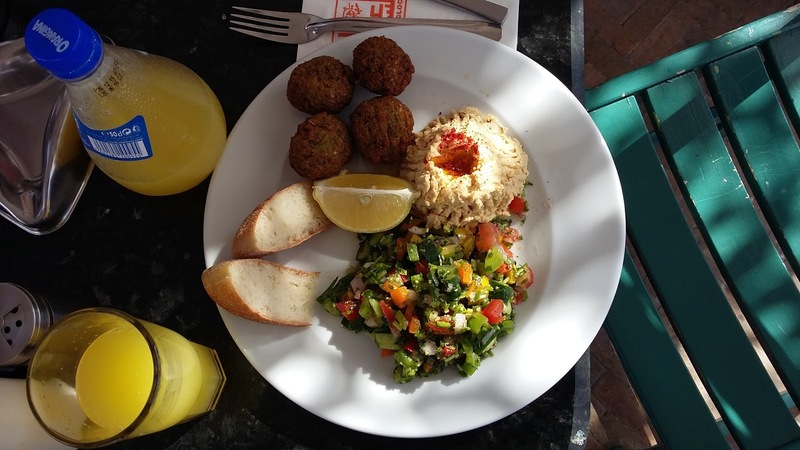 It's not too difficult being a non-meat eater in Marrakech, as the number of tagines, falafel, humous and vegetarian pastries on offer mean there is no need to go hungry. When it comes to eating fish, there are also plenty of options. 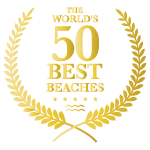 From the skewers served up in the Djemaa El Fnaa to the modern delights of Chez Mado, Morocco's hottest tourist destination has enough to satiate the appetite of even the hungriest pescatarian. We were lucky to be staying very close to Cafe Clock in the Kasbah area of the city and ended up eating there twice. Great Moroccan classics, served up on the roof terrace with a good dollop of entertainment thrown in. There was a jam session going on in the courtyard below during our first meal at this wonderful cafe. You may notice there's no fish in the falafel dish that I enjoyed on our second visit, but just because I eat fish, it doesn't mean I have it for every meal. Going full-veggie is also great too. I was actually spoilt for choice with their menu, as there were loads of options open to me. As is often a good idea, I took the advice of the waiter, who spoke great English (sadly my French lies somewhat neglected under my more frequently used Spanish, and my Arabic is practically non-existent). So I tucked into a steaming hot b'stilla with taktouka sauce. This flaky pastry parcel was filled with roasted vegetables, but can also come with meat or fish, so be sure of the contents before ordering. No trip to Marrakech would be complete without an evening dining at the Djemaa El Fnaa. For the uninitiated, this vast square, which is full of orange juice sellers by day, becomes a fantastic food market in the evening. Sit on a roof terrace at any of the establishments surrounding the Djemaa El Fnaa and you will look out across a sea of lights amid the stalls, with steam and delicious smells from the food being cooked rising up to fill the air. It can be somewhat overwhelming to walk among the traders and try to decide where to dine. Of course, they are all making an effort to entice you in, but one piece of advice struck home as we peered at the piles of produce ready to go on the numerous grills - "It's all the same stuff; just the quality is different". So we decided we would pick a stall almost at random. As we walked past No 95, Chez Ba Hassan, the chap trying to drum up custom said: "Ali Baba, Ali Baba" (my other half's beard had instantly won him this nickname when we arrived in Marrakech), "Hashtag f*@!%ing awesome". Well you don't get a better sales pitch than that! While he tucked into skewers featuring various unidentified meats, I enjoyed my prawn and squid skewers with vegetable cous cous. 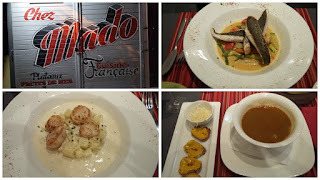 Reading a fellow travel blogger's article prior to our trip, Chez Mado was described as the best seafood in Marrakech, which sounded like the kind of experience the well-fed pescatarian could not miss. 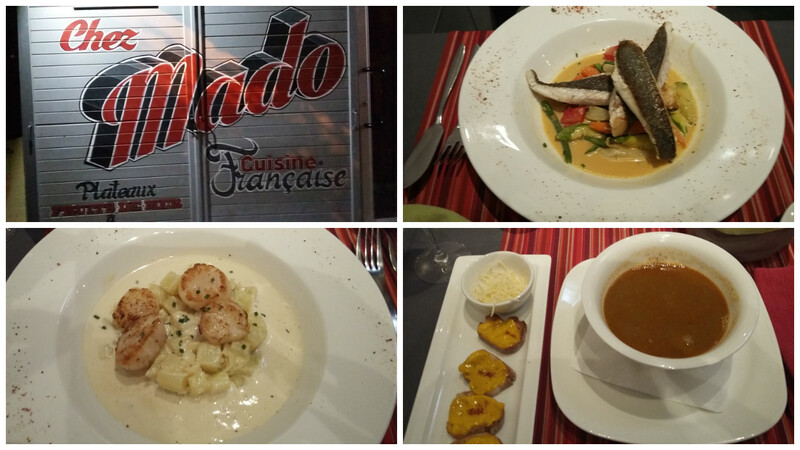 Located in the new town, we hopped in a taxi and made our way to this chic eatery. The outside has been painted in the red, black and grey colour scheme that is carried on throughout the establishment and the almost garage-like facade and curtains covering the door meant it was impossible to see inside. Venturing through the curtains we found ourselves in a contemporary space, with a conservatory-like structure on the front. Without reservations, we were seated here, which did us just fine. And we proceeded to gorge ourselves on delicious Moroccan wine and a fine selection of seafood. 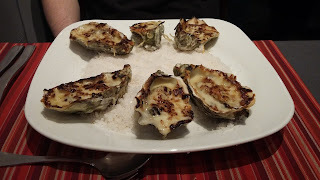 While my other half had gratinated oysters to start, followed by John Dory, I enjoyed seafood soup with tasty crouton-like toasts covered in a light mustard sauce and scallops parmentiere - both of which were stunning. I had no space to fit in a dessert, but was quite excited to see iles flottantes on the menu, as I've never actually been anywhere that you can order this legendary dessert before. I convinced my partner in crime to order it so I could at least have a taste and it was just as amazing as I'd imagined it would be. Lighter than air meringue and creme anglais with the subtlest of vanilla flavour. I hadn't had a problem fitting in dessert the previous night, however. 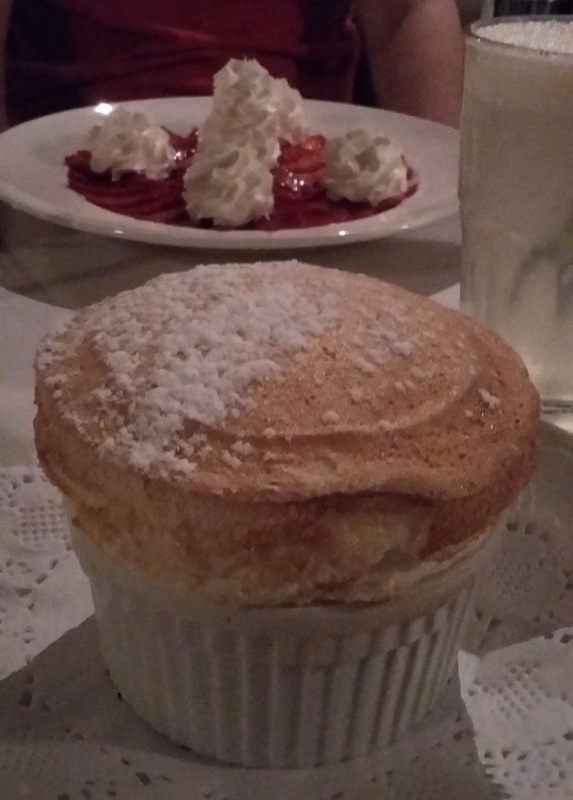 This wonderful Grand Marnier souffle was the climax of my birthday meal at Le Grand Cafe de la Poste, and yes, it was as good as it looks. You can just make out my other half's strawberry carpaccio with whipped cream in the background. This restaurant, housed in the former post office building, was a real treat. I especially loved the pomegranate-shaped lampshades hanging from the ceiling. Almost good enough to eat. The meal I tucked into at this fantastic colonial era establishment was a combination of traditional Moroccan elements with elevated French techniques. The scallops to start had a rich creamy sauce, but were balanced on a bed of cous cous. And the prawn and monkfish tagine was perfectly cooked. All this was washed down with a few glasses of gin fizz - after all, you only turn 30 once.